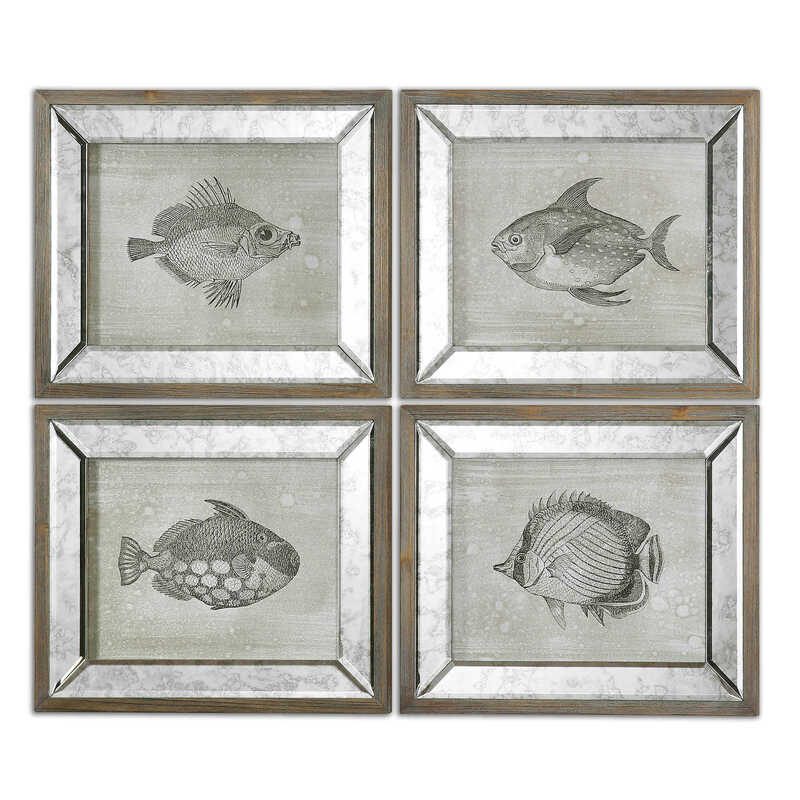 Contemporary in design, these giclee fish prints showcase rustic and coastal elements. 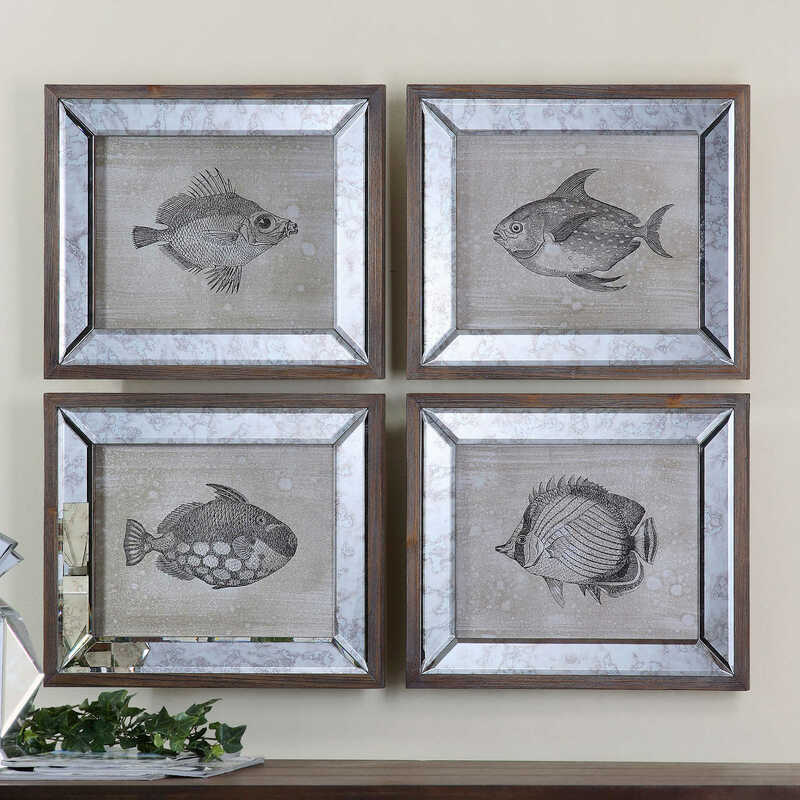 Each beige colored canvas features aged detailing and a black, sketch-like drawing of a fish. Antiqued mirrors surround each canvas and are completed by rustic, dark wood finished frames. Each print is placed under protective glass.